This Porsche arrived at the port in Baltimore Maryland, fresh off the boat from Germany in 1972. It was sold at a dealer in Akron, Ohio and spent some time in Maryland before it was sold to the second owner in 1991. This second owner kept the car garaged during the cold New England winters and took it out on sunny weekends. Our team found the car in New Hampshire, purchased it, and had it serviced. As you can see, it is in great condition - no sign of rust or damage - the perfect candidate for a full, nut-and-bolt restoration. The red convertible with contrasting trim is a look that's hard to resist. And here, it takes the iconic shape of a classic 911T Targa painted in Bahia Red and paired with rare magnesium “gas burner” wheels. This particular 911T was built for the American market and packed more horsepower than the 911T’s released in other parts of the world. Beneath the rear decklid, you'll find a 2.4-liter engine and 5-speed transmission. Inside, the black leatherette upholstery invokes a sporty elegance, gauges keep vitals in full view, and the fully operational, Blaupunkt radio continues to play the hits. This 911T also comes with its original tool kit, jack, books, and window sticker, a Porsche Certificate of Authenticity, and a treasure trove of service records and hand-written maintenance records that date back to its original purchase. 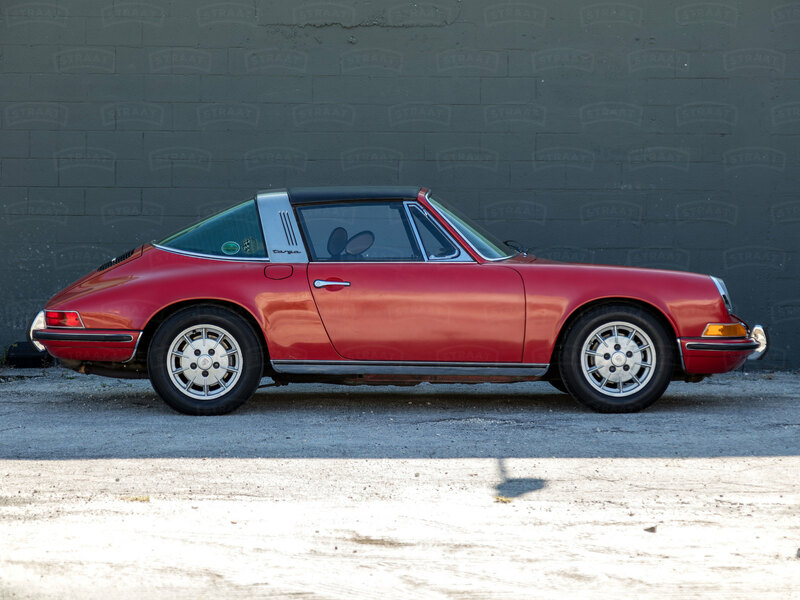 This 911T Targa is ready to undergo our fully documented restoration process. Now, all it needs it a new owner to accompany it on its next journey. Ready to get behind the wheel of this 911 restoration project? Fill out the form below or contact us.